Come to one of the most established atunt competitions in North America. 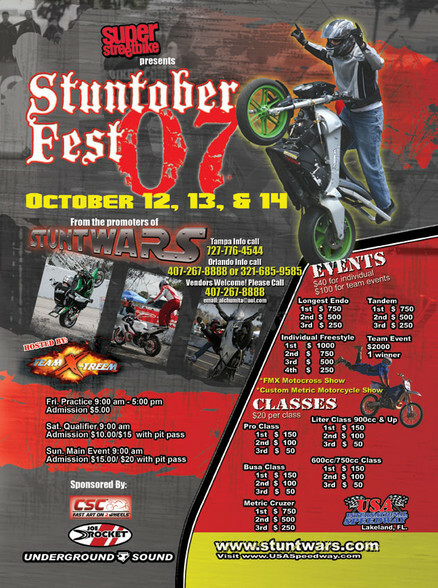 See some of the top riders in the country compete for big cash payouts! I-4 to exit 38 go north then make first left, follow down to the stop turn right - .25 mile on the right side. Children 8 and under are free.